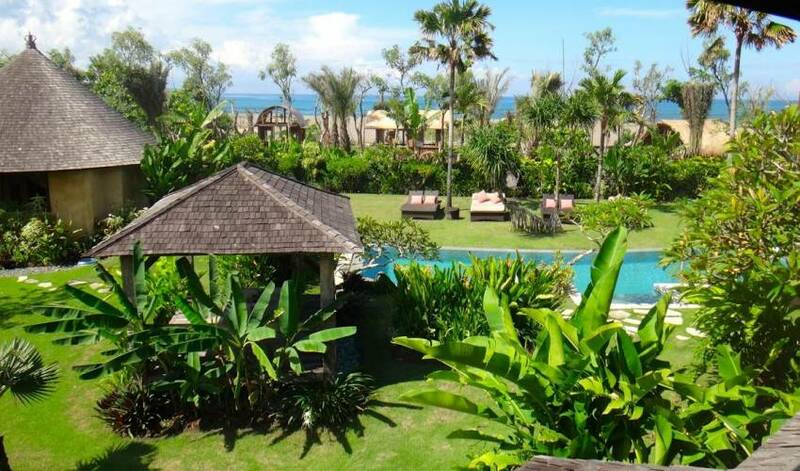 Overlooking the ocean with an unobstructed view is only one of the few villas in Bali that is beachfront and situated in a secluded area, yet minutes to restaurants, shops and activities of the Central Seminyak area. 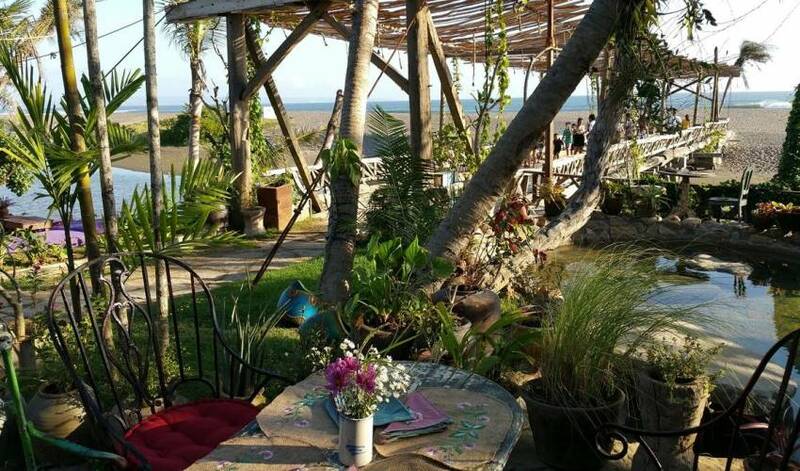 This large property faces the sunset with view of the beach. 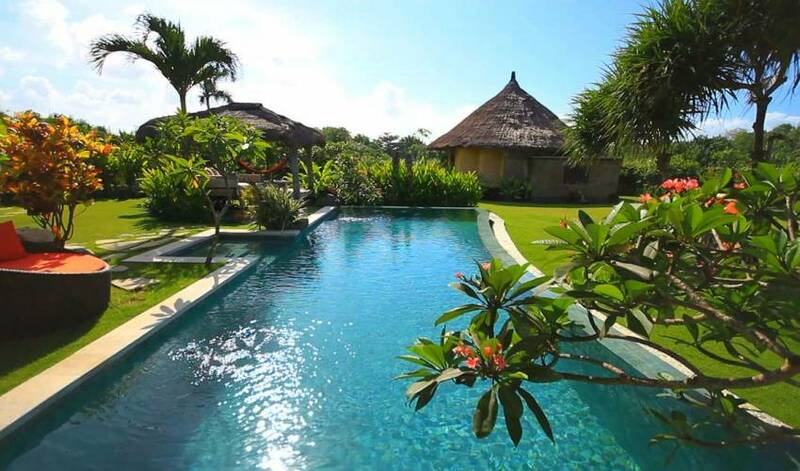 Villa 308 is perfect for families or a group of friends. 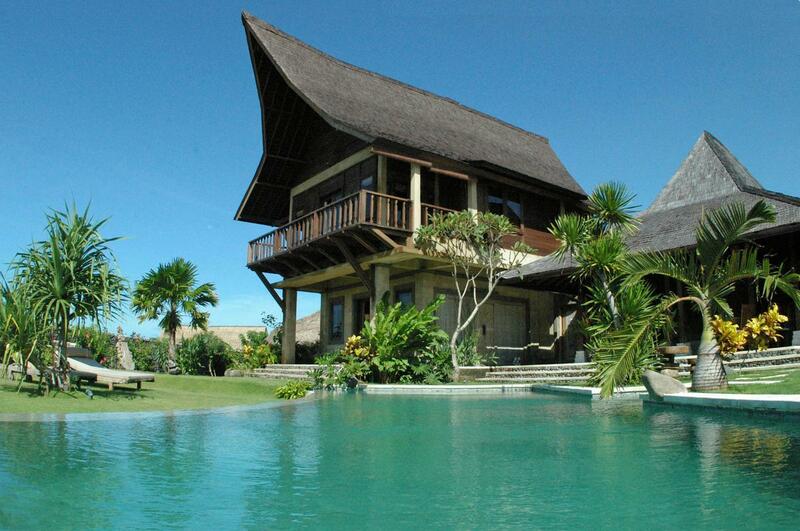 This luxury Ocean Front villa estate made of 3 BR and 7 BR, or combine for 10 Bedrooms. 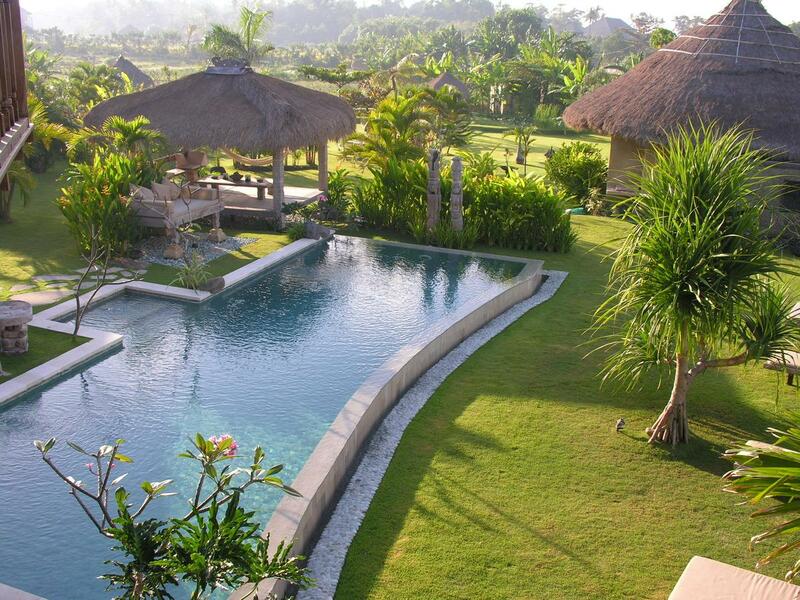 The grounds of the estate are covered in lush tropical gardens and a manicured lawn. If you prefer to swim or surf in the sea, a wooden walking bridge brings you across the small lagoon to the secluded beach. 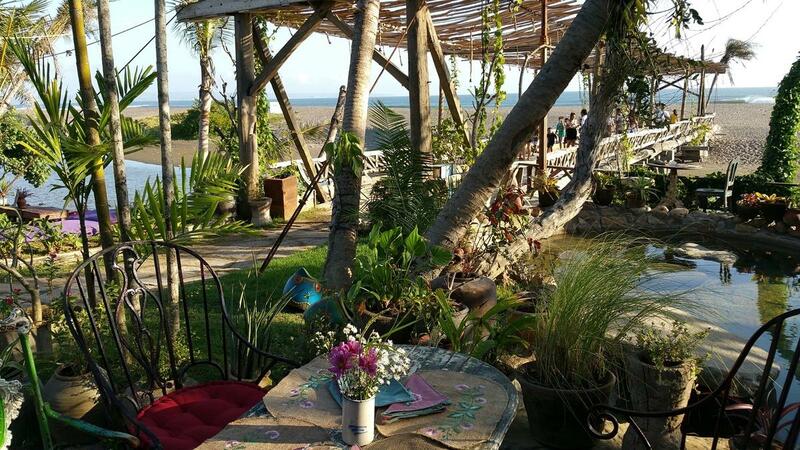 Refreshing year round ocean breezes in a peaceful atmosphere will relax your mind to read, meditate or simply to stretch out and let your mind wander. 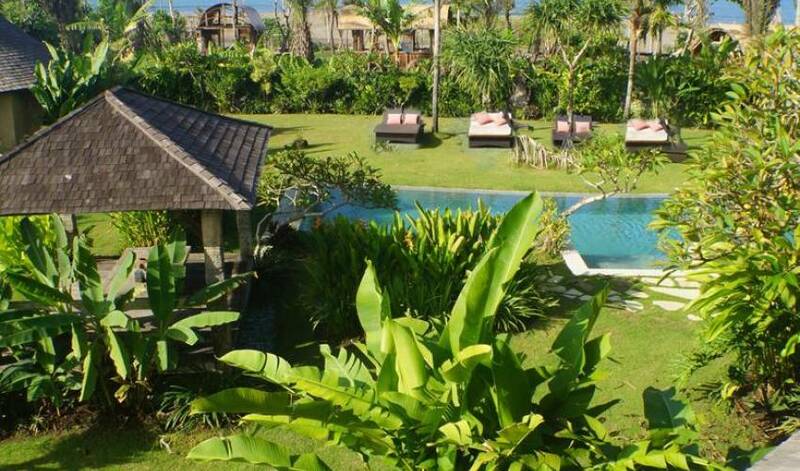 There is a flat 42 inch TV, the 2 dining tables that seats 22 people are situated to overlook the lush tropical garden grounds and Indian Ocean. The partially exposed, fully equipped modern kitchen allows for flexibility in usage, whether the guests would like to cook socially for themseleves, or to be serving by the "hidden hands" of the talented staff. A guest bathroom sits off to one side for convenience. The romantic upstairs master bedroom has a rich dark wood aroma with spectacular ocean view. Enjoy beautiful sunset view relaxing in the king size Timor bed. An open terrace, ensuite bathroom and separate bedroom make an additional living area of this room. An intricately carved sofa bed is present to facilitate the conversion of the study into an additional sleeping area. The first floor master bedroom is fitted with a king size canopy bed, and its own private terrace. A walk-in wardrobe and an ensuite open-air bathroom are added highlights . A beautiful limestone carving of bathing Balinese women overlook the luxury bathtub. 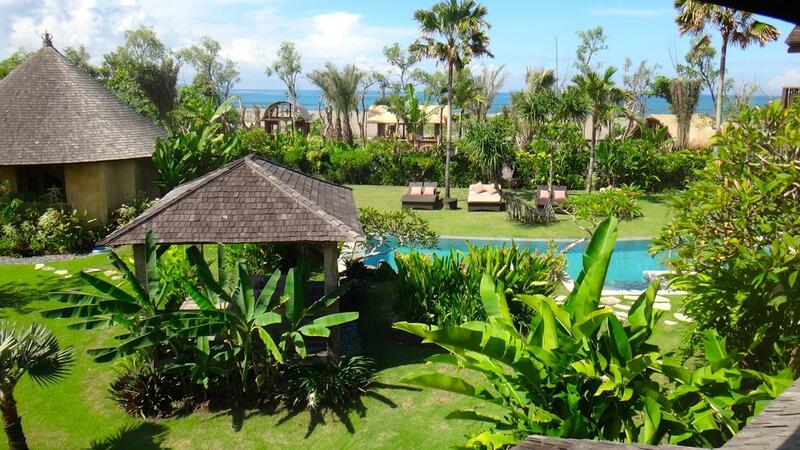 Set apart from the other units, Pavilion Irian 1 Bedroom offers a complete retreat to privacy. 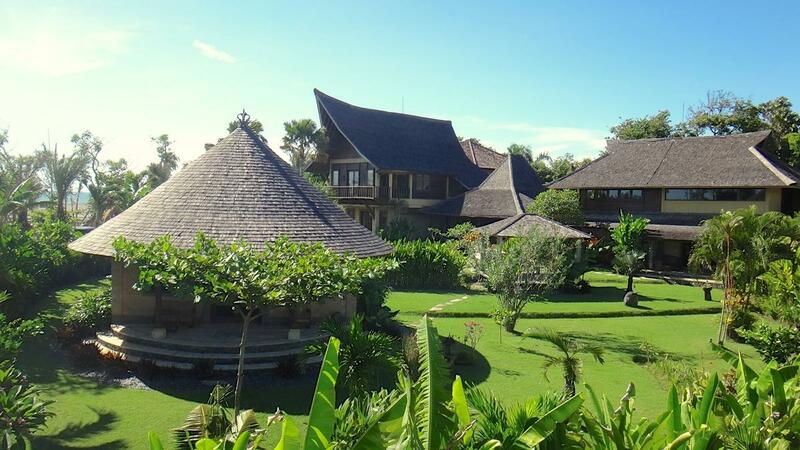 This round building, topped with a high alang-alang roof, houses one bedroom and its own private ensuite open-air bathroom. The queen-sized bed is covered with briliant batik linens, adding a spice of color to the room. A large day bed is ideal for a mid-day siesta, or to put a child to rest. 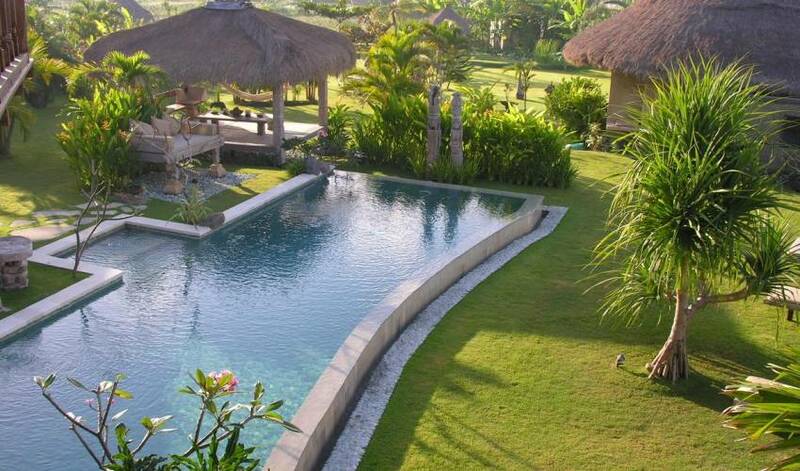 Flourishing rice fields and a blooming lotus garden offer a wonderful view from the private terrace. 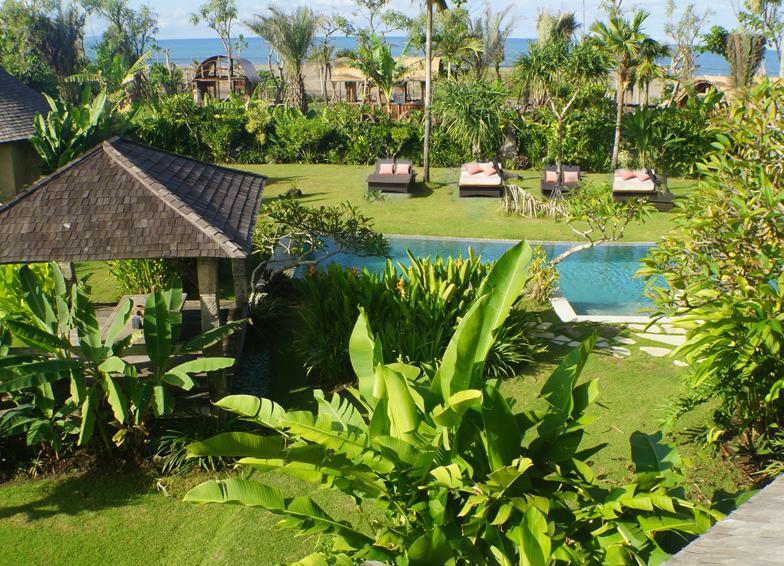 The first level offers a large bedroom with its own private terrace overlooking the lush ground. The terracotta floor adds richness to the room, complimented by the king-sized canopy bed. Shell-inlay doors lead to the open-air bathroom, complete with a small garden. Tactfully hidden under the teakwood TV stand is a mini-fridge adorned by Indonesian puppets above it. An ensuite bathroom leaves nothing lacking. The second level consists of a Master bedroom with full view of the Ocean, the other room of this suite is made of two single canopy beds that have been specially designed to convert into a single king-sized bed, for added versatility. Enjoy the sea view while resting in total privacy. View overlooking the Indian Ocean from the upstair Timor Suite. 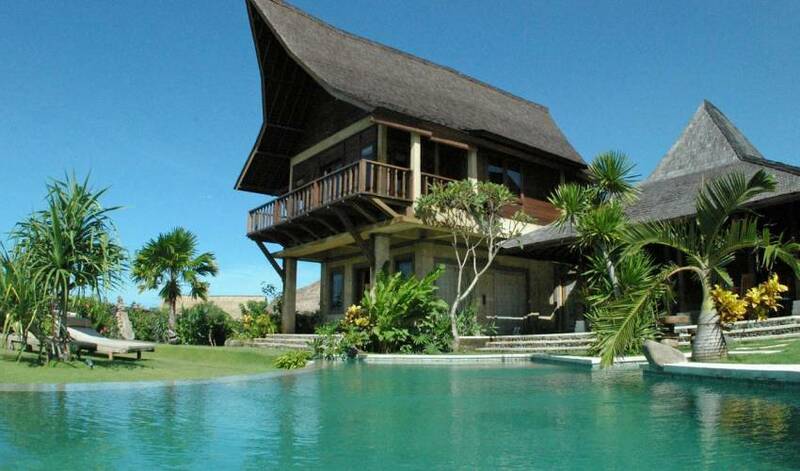 The Pavilion Bali features an open-sided living and dining room, and a small open plan kitchen. The spacious air-conditioned bedroom is positioned on ground level, furnished with a romantic king size bed and harmonized with whimsically-carved artifacts. Flat screen TV and DVD player. Decorative double doors, inlaid with mother of pearl, mark the entrance to a gorgeous garden bathroom, and walk-in rain shower.